Daddy Hinkle's tenderizes and brings out the natural flavor of meat. The seasonings and rubs are delicious in soups, casseroles, chili, stew, dips, and grilled veggies. 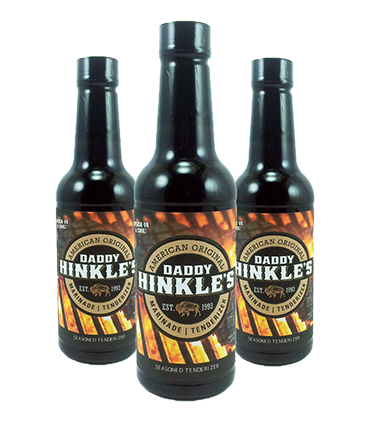 Daddy Hinkle's marinades tenderize your meat and enhance the natural flavor without covering it up for the best experience and taste you will achieve at home. 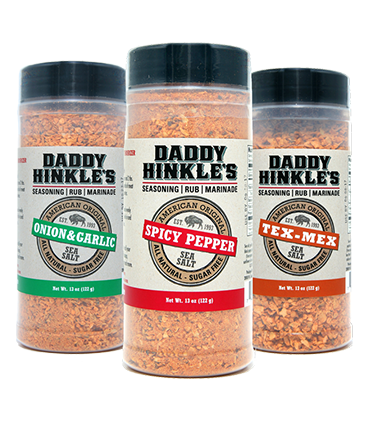 Here at Daddy Hinkle's, we know the importance of enhancing the flavor of your foods without compromising the original taste of your meats or vegetables. With the wide versatility of our products, it's no wonder that we have amassed a pretty loyal following over the years. Now you can share your love of our wide range of products! No real grill master's collection is complete without a wide selection of dry rubs and marinades. 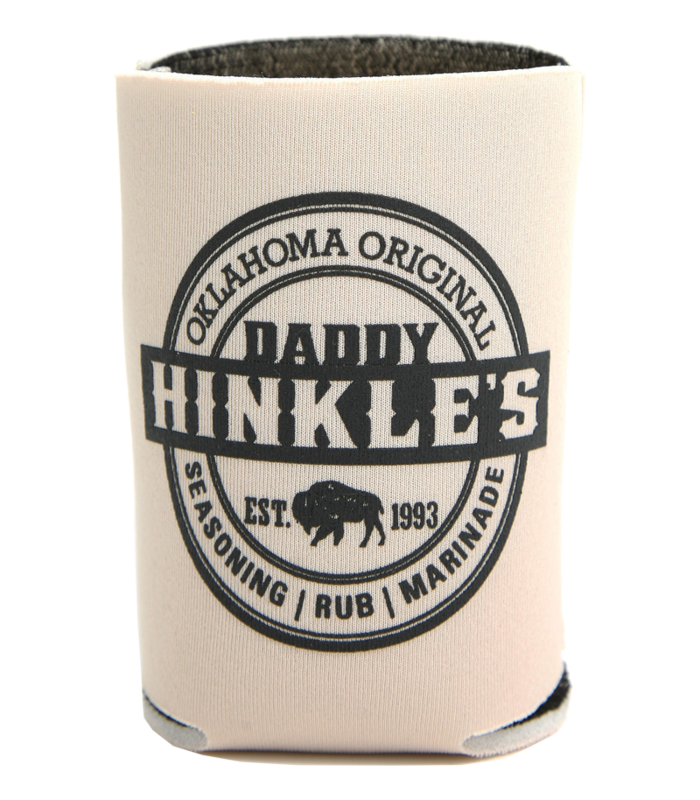 Daddy Hinkle's makes a special gift for any occasion.